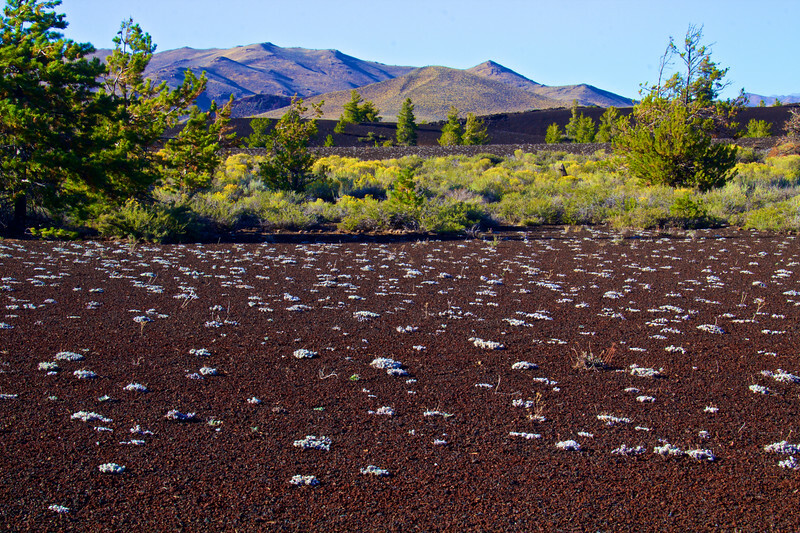 Craters of the Moon is a vast ocean of lava flows with scattered islands of cinder cones and sagebrush. We explore this "weird and scenic landscape" often because it is only a couple of hours from home. I enjoy the early evening light as it shines on the sagebrush.